Workout alone is always a tough thing. But when you find a friend who will do exercise, go to a gym with you, and maintain a diet plan, you can reach your goal even more easily. So, find out a workout buddy if you start cheating on your healthy routine. MedHouseCall, being a trusted name in the health care field, comes up with the best options that help you stay fit always. We are offering in-home healthcare facility for people in Ontario, Canada and raise some serious health awareness for people. We understand how important it is to maintain a regular exercise and diet plan. 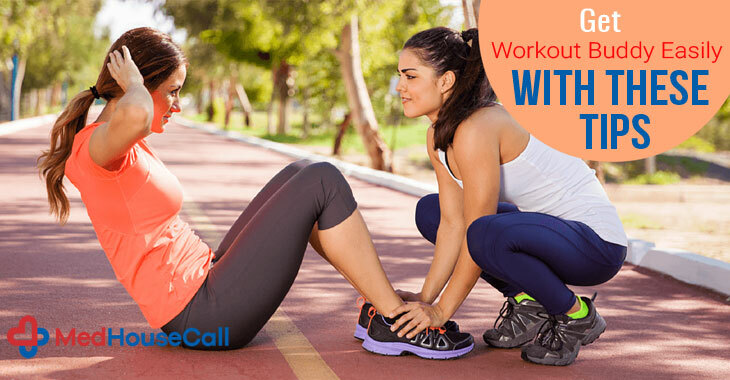 Here are some tips to find a work-out buddy for your happy health. If you have a friend who loves regular exercise, you can enhance communication with him/her. Share your everyday goals and achievements with your friend and ask him to share experiences. You can build a community together. When you share your workout plan with your friends, it encourages you to achieve more and more things. If you don’t have friends who will be with you in your workout plan, you can find an app that substitutes your friend. It has proven that people who workout with virtual friends can retain the consistency of their performances. Do you know your four-legs friends can be an entertaining buddy of your workout plan? A study reveals that people who walk with their dogs remain in better shape. So, you must make your pets your workout friends. This is the best approach that you can definitely try. Instead of meeting your college in a coffee-shop, ask him to meet you in a gym or a workout place. You can spend times with them as well as maintain your health routine also. Welcome them to have a healthy goal for their life. You will get numerous benefits to workout with your loved one. When you work-out together, you can spend quality time. This improves your relationship also. You must make a group workout plan. If you live in a colony, then organize a group workout plan with all. This kind of attitude enhances your social communication also. 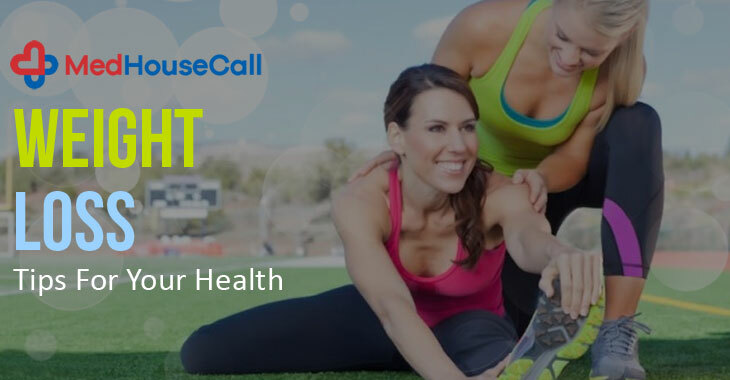 MedHouseCall helps people to improve their general health easily. This workout plan will be effective if you are not comfortable to maintain it alone. For any kind of medical advice, you can communicate with us. We are offering in-home health care facility in Ontario, Canada. Our unhealthy eating habit and busy lifestyle prove dangerous to our happy heart. Since heart diseases are growing in number, people should take general health care to keep their heart strong. Remember that a happy heart lets you live for long. There are so many things with which you can show love to your heart. Keep it happier with a healthy diet, regular physical activity, and more things. MedHouseCall is a renowned health organization that offers in-home health care services to people in Ontario, Canada. We are happy to serve patients at their home. We are also expanding fast as doctors and medical practitioners join our team and offer services through them. This huge support helps us raise some serious health issues to people. Earlier we talked about so many health complications. But, here we discuss most important part of our health – heart. Nurturing a strong and healthy heart does not need too many things. We discuss some of the essential factors that help you protect your heart from several diseases. High blood pressure leads to heart diseases. It is important to keep the blood pressure at a normal level. The normal range falls below 120/80. When your blood pressure stays 120-129/ less than 80, you are suffering from the hypertension problem. Cholesterol is another factor which is attached to your heart health. There are three different factors of your cholesterol – HDL (good cholesterol), LDL (Bad), and Triglycerides (fat of your body stored excessive energy from foods). Maintain a healthy cholesterol level for your health which is less than 200. HDL – 50 or higher for women and 40 or higher for men. LDL – less than 100 and triglycerides should be less than 150. As we all know that genetics play a big role in your heart. Some factors you have in common with other members of your family. Keep the knowledge of the medical history of your family and be aware of the diseases they have. Take early precaution so that you will not have the same problems. To take care of your heart, you must consider these above factors. Besides, go and check your heart by certified medical practitioners. The best way to ensure the happiness of your heart is going for a regular checkup. For any medical advice, you can contact MedHouseCall. Our home visit physicians will check your health issues and treat problems in the comfort of your home. MedHouseCall talks about so many things in a loud voice so that everyone is aware of the necessities needed for general well-being. We are constantly striving in the healthcare industry by offering convenient medical solutions to people. We have encountered that mental health issues are attached to taboos and stigmas. People are still discussing mental health issues in hushed words. Why? This is possibly because People are afraid of staying alone in the crowded world. we make mistakes here. We should adopt an open attitude and take mental illness the same as general illness. The initiative should be started from the very beginning, from school life. As we teach students about general health and hygiene, we also take a similar approach to discuss mental health with students. It does not mean putting an extra burden on the educational syllabus. The learning must be interactive so that students can get the idea of what they should do when they feel mental pressure or depression. MedHouseCall considers this factor one of the vital health issues in today’s world and it should be discussed by health practitioners and psychologists together. Take the matter in a simple way. Psychological disorder is nothing but medical illnesses just as other health complications are. It also gets cured with proper care. Mental health gets disrupts because of biological, psychological, and lifestyle factors. Doctors of MedHouseCall come up with a solution to address the mental wellness of people. The education must be started from schools where teachers make students aware of emotional well-being and help them avoid taboos and stigmas. Mental illnesses are real and they are not because of the character flaws. After the awareness, the second step is encouraging helping and help-seeking behavior. It is very common that people who are suffering from mental illnesses feel isolated and hopelessness. This makes the problem even worse. Teachers can help students to speak out the problems. They help students understand discussing problems with others is a sign of strength rather than weaknesses. Don’t take help from unreliable resources like the internet and contact persons who can really help patients. Teachers play an important role to motivate and inspire students to cope with problems and challenges. 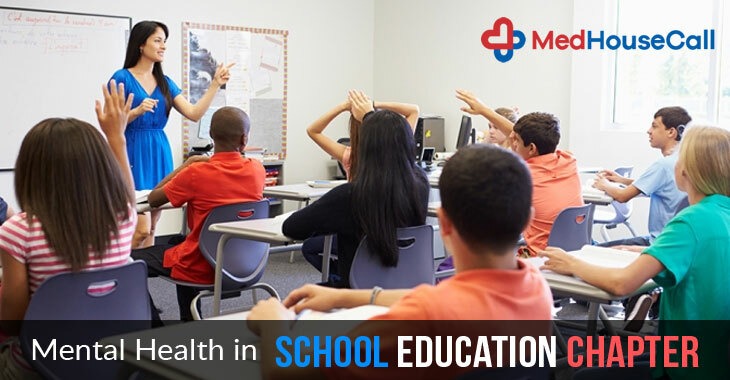 They must teach them preventive aspects which ultimately help students to get out of any mess that may disturb their mental health. MedHouseCall urges every school to join to this drive and help students fight problems with depression, anxiety, and other mental complications. The approaches should be friendly so that distress can easily express their feelings. We are offering in-home healthcare services in Ontario, Canada so that people can get medical advice anytime they want. Our home visit physicians will treat your health issues in the comfort of your home. 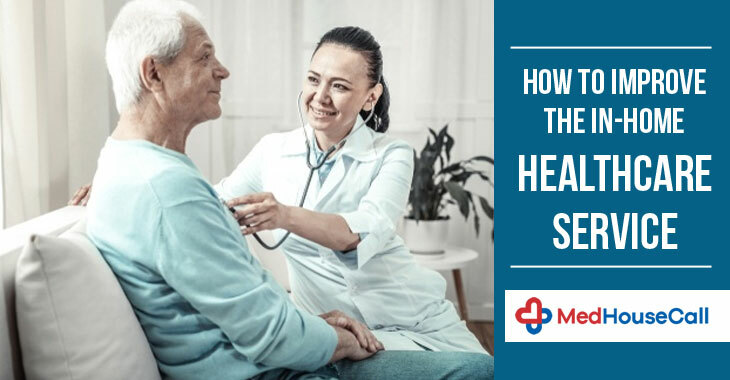 But, some health complications need a wide discuss and we welcome health organizations to spread the awareness of problems like mental illnesses, obesity issues, and more. When it comes to our oral hygiene, we are showing less important to it. It may come last in our priority list. But when your teeth kill your good night sleep and give you unbearable pain, you hastily search for a quick fix. Before it becomes too late, you have to take early precaution to keep your oral health good. Strong teeth and gum is a sign of healthy living. You are also not aware of the fact that decaying tooth can be the reason of underlying serious health complications. 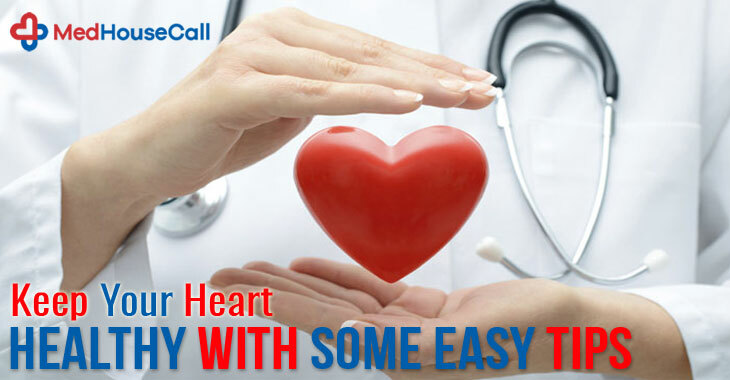 MedhouseCall promises to offer you a better health care service with their on-call doctor demand facility. No matter what your health complication is, you will always be treated with great care at MedHouseCall. We have healthy teeth, but that does not mean our teeth are protected from decay. The lack of maintenance and care will lead you to many oral problems. Though genetics play a role to have cavities or not, you can avoid any situation with regular brushing and maintaining a healthy diet. Brushing regularly keeps your teeth strong and removes plaque from teeth, which are one of the reasons for your tooth decay. Doctors from MedHouseCall suggest dental checkup every six months. Dentists will not only give you the best advice for your dental health but also check so many issues related to strong teeth and gum. While cavities can easily be detected by your eyes, some complications need an expert’s knowledge. Oral infection can be a cause of different health complications. So, you should never avoid even a simple tooth problem. Here, we mention some of the diseases that may affect your oral health and gives you an early sign of these health diseases. MedHouseCalll brings a premium health care facility to your home. Our home visit physicians will check your health issues and give you medical advice at the comfort of your home. 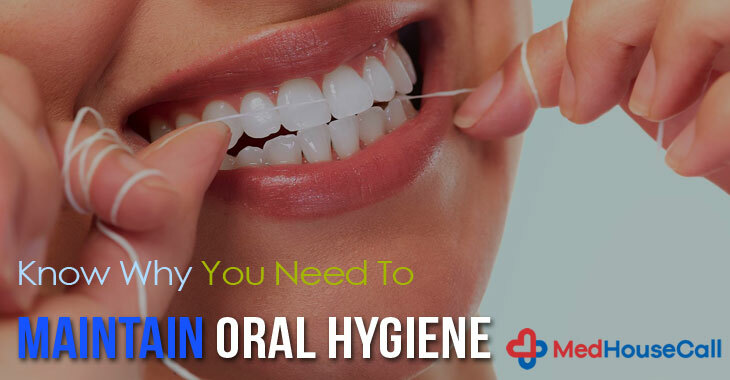 If you are aware of your oral health, we have some easy solutions for this problem. Maintain the tips mentioned below to take care of your health. You always take care of your teeth and gum. Rinse your mouth after eating sugary foods. 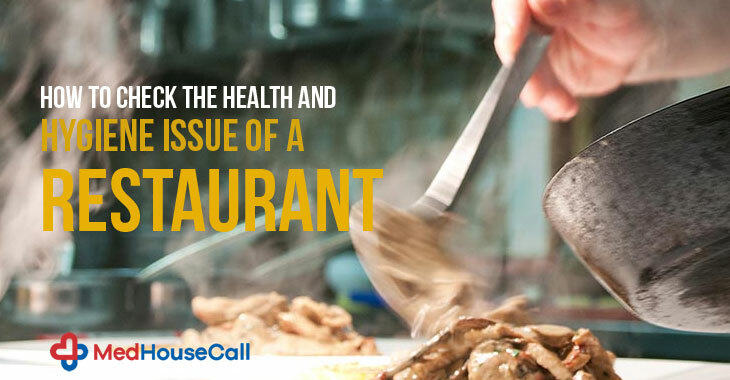 For any health-related advice, MedHouseCall will be there for you. We are offering on-demand doctor house call facility to the people live in Ontario, Canada. We soon extend our services to everyone. Losing weight is a real problem for people and generation is suffering a lot from this issue. An increased rate in obesity is a big worry and people are looking for how to stay active and healthy without putting on weight. The time has come to raise the matter with more impact so that everyone understands the adversity of being overweight. While no tricks and tips give you the result overnight, consistent health maintenance can lead you to your goal. MedHouseCall, being a healthcare organization offering on-call doctor service in Ontario, has experienced so many health issues related to the overweight problem. This affects your health not only physically but also psychologically. You gain weight when the energy you earn from food is more than the energy your body uses. Remember that there is no rule for a quick result. A steady and dedicated plan will give you the expected outcome. Nutrition and health experts believe that one should shed weight gradually. What brings you the best result is changing your lifestyle entirely. Plenty of exercises and healthy habit will keep you energetic and help you lose weight without going through any painful process. The recommended limit for shedding weight is about 1-2 lbs a week. You have to think about the reality and plan accordingly. When you pick the instant result option, you tend to maintain the fad diet which may give you the result for the short time period. You will soon start gaining weight when the phrase gets over. 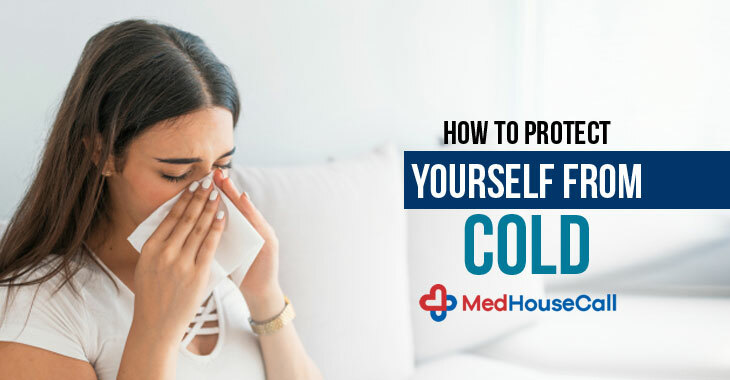 MedHouseCall brings to you some amazing choices that help you take a better decision for your health. Here are some easy tips that control your weight issue within a health standard. Do you really need weight loss? Sometimes, you misjudge your body and go for a so-called slim body shape option without considering your health needs. Measure your body mass index and check the waist circumference to check whether you need weight loss or not. You must ensure that the energy you gain remain less than the energy your body uses. This means you need to move more than you eat. You need to set a realistic goal for your weight loss. Remember that even a small weight loss is beneficial for your health. Eat plenty of foods and vegetables at least for 5 days a week. You must include beans and pulses for your dishes. You must control your portion also. MedHouseCall wants everyone to be happy and healthy. Our sole aim is to strengthen the healthcare facility of our society. With in-home healthcare services, we reach remote areas to serve people with their needs. When our home visit physicians identify the factors of overweight being the reason for so many health complications, we want to make a support group where you can ask your problem. We made health consultation with a doctor easier for you.